A couple of weeks ago we ran a call for questions as I got word that ASUS would be paying me a visit in NC. JJ from ASUS sat down with me and we had a discussion about Ivy Bridge, the 7-series chipset, ASUS' lineup and more. As promised, we also answered some of your questions in the video itself. Questions that didn't get answered in the video will be answered in the comments thread of the original post. We're giving them all away starting today. 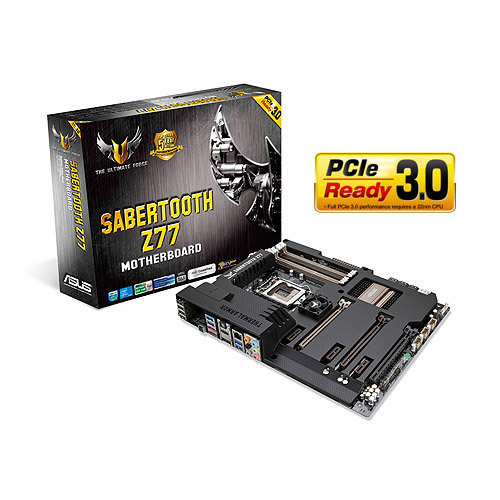 Ranging from the insanely compact mini-ITX P8Z77-I Deluxe to the thermal armor equipped Sabertooth Z77. If you were on the fence about the move to Ivy Bridge, this may be what pushes you over. To enter the contest simply respond to this post with comment detailing something you'd like to hear more about that was mentioned in the video or any other feedback you've got for ASUS (please only respond once). 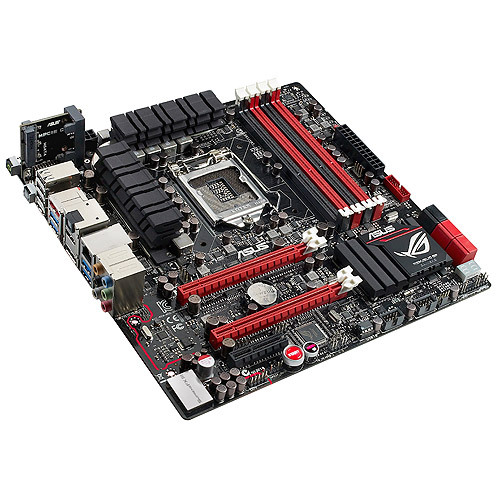 We will be randomly selecting four readers, each of which will receive a single motherboard from ASUS. We'll be randomly pairing up the reader with one of the boards mentioned above. This is your chance to have your voice heard and have your opinion impact future products. Good luck! Now the rules. This contest is only available to US residents in one of the 50 states. Secondly, you are only allowed to enter once. Entries will be accepted from 11:40 AM ET on April 24, 2012 through 11:40 AM ET on April 26, 2012. Winners will be selected by April 30, 2012. Entry Period. Each Promotion will contain a specific time period within which entries will be accepted (a “Promotion Period”). The Promotion Period for this Promotion shall run from 11:40 AM ET on April 24, 2012 through 11:40 AM ET on April 26, 2012. Only entries received during the Promotion Period will be accepted. Prizes. Winning a gift, prize, or other promotional item (a “Prize”) in a Promotion is contingent upon fulfilling all requirements in these Rules. Winners will be selected in a random drawing of eligible entries received during the Promotion Period. AnandTech will notify Prize winners using the contact information provided in the winning entry. Failure to claim a Prize by the time or in the manner specified in the particular Promotion will invalidate any claim to the Prize. Prizes are not transferable. The odds of winning a Prize or the Grand Prize depend on the number of entries received by AnandTech. TO THE MAXIMUM EXTENT PERMITTED BY APPLICABLE LAW, ALL PRIZES ARE PROVIDED “AS IS” AND ARE NOT EXCHANGEABLE FOR FAIR MARKET VALUE. TO THE MAXIMUM EXTENT PERMITTED BY APPLICABLE LAW, ANANDTECH DISCLAIMS ALL WARRANTIES WITH RESPECT TO THE PRIZES, INCLUDING THE IMPLIED WARRANTIES OF MERCHANTABILITY, FITNESS FOR A PARTICULAR PURPOSE, TITLE, AND NON-INFRINGEMENT. 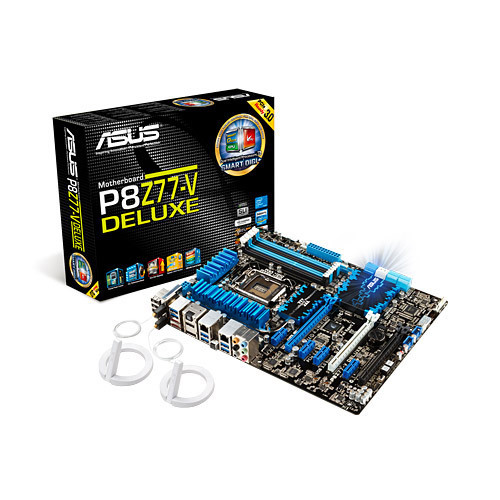 For this Promotion, four winners will be selected by April 30, 2012 and will receive one ASUS Motherboard described above (“Grand Prize”). The Total U.S. Retail Value of the Grand Prize is $249.00. The Grand Prize may not be substituted for cash. The Grand Prize winner will be solely responsible for all applicable taxes, fees, and surcharges associated with receipt and/or use of the Grand Prize. After the Grand Prize winner has been notified and has complied with all applicable Rules, AnandTech will post the Grand Prize winner’s name on this website.